Analogs for Eastern Utah Oil and Gas Fields and Features on Mars Too! by Thomas C. Chidsey, Jr., Utah Geological Survey Rebecca M.E. Williams, Planetary Science Institute David E. Eby, Eby Petrography & Consulting, Inc.
Geologic map showing location of Morrison and Cedar Mountain Formations exhibiting paleochannels and inverted topography in east-central Utah. Thomas C. Chidsey, Jr., Geologist, Utah Geological Survey. Tom Chidsey is the Petroleum Section Chief for the Utah Geological Survey (UGS). His responsibilities comprise managing the petroleum program and conducting research in Utah’s petroleum geology. A native of the Washington, D.C., metropolitan area, Tom received his Bachelor of Science degree in 1974 and a Master of Science degree in 1977, both in geology from Brigham Young Uni­versity. During his 30-year career, Tom has worked as a production geologist for Exxon in South Texas and an exploration geologist in the Rocky Mountains for Celsius Energy Company (Questar Corp.) before joining the UGS in 1989. He has served as Rocky Moun­tain Section President of the American Asso­ciation of Petroleum Geologists (AAPG), President of the Utah Geological Association, and General Chairman for the 2003 AAPG Annual Convention in Salt Lake City. 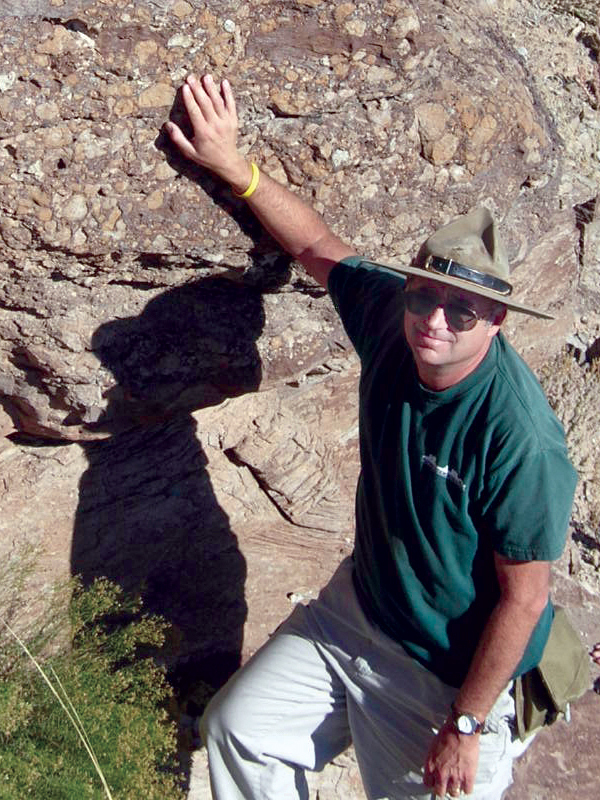 He has been an editor/co-editor of five guidebooks on Utah geology and has numerous publi­cations on Utah petroleum geology, carbon dioxide resources and sequestration, hydro­geology, oil and gas reservoir outcrop ana­logs, and the general geology of Utah’s parks and monuments. Dr. Rebecca M.E. Williams, research scientist with the Planetary Science Institute. Dr. Rebecca M.E. Williams, a research sci­entist with the Planetary Science Institute, is a planetary geologist specializing in fluvial geomorphology. 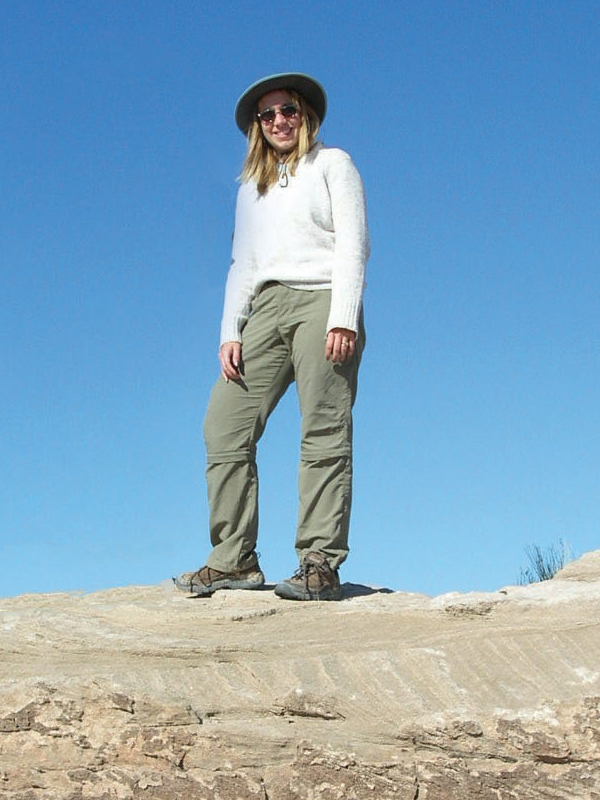 Through a combination of qualitative and quantitative characterization of landforms using image and topographic datasets as well as fieldwork at terrestrial analog sites, she investigates the history of water on Mars. Dr. Williams received her bachelor’s degree in 1995 from Franklin & Marshall College (Lancaster, Pennsylvania) with a joint major in physics and geology and minor in astronomy, and pursued doc­toral studies in planetary geology at Wash­ington University in St. Louis, graduating in 2000. Dr. Williams targeted the high-resolu­tion Mars Orbiter Camera (MOC) on Mars Global Surveyor for over three years at Malin Space Science Systems. She is a participat­ing scientist with the THEMIS instrument aboard Mars Odyssey and the Context Cam­era (CTX) aboard the Mars Reconnaissance Orbiter. Dr. Williams is the recipient of a 2006 NASA Carl Sagan Fellowship for Early Career Researchers. Editor’s note: If Drs. Williams and Eby look like they could be related, it’s because they are! Dave is Rebecca’s father! Dave Eby, Eby Petrography & Consulting, Inc., Denver, Colorado. Dave Eby is the owner of Eby Petrography & Consulting, Inc., a consulting firm based in Denver, Colorado, that assists clients in evaluating opportunities for oil, gas, and mineral exploration/production. He also performs projects in sedimentary petrog­raphy, mineralogy, core and cuttings stud­ies, as well as training activities emphasiz­ing carbonate and sandstone reservoirs. Clients include large and small energy and mining companies as well as state geologi­cal surveys. He previously worked for Mar­athon Oil Petroleum Technology Center, Union Pacific Resources (now Anadarko Petroleum; and its predecessor Champ­lin Petroleum), and Mobil Oil R&D Corp. during earlier portions of his 40 years of industry experience. He also held teach­ing positions in Sedimentology and Paleon­tology over a 10-year period at the Univer­sity of Texas (Dallas and Arlington), Frank­lin & Marshall College (Lancaster, Pennsyl­vania), and Southampton College (now part of SUNY at Stony Brook). Dave received his A.B. degree from Franklin & Marshall Col­lege, M.S. degree from Brown University, and Ph.D. degree from State University of New York at Stony Brook, all in geology. Along Interstate 70 (I-70) in eastern Utah, near the junction with Highway 24, sandstone- and pebble-rich ridges and small buttes top the variegated shale and mudstone of the Late Jurassic Morrison Formation. As one travels east on I-70 toward the town of Green River, several similar elongate ridges can be seen in the distance to the south; these ridges belong to the Early Cretaceous Cedar Mountain Formation. Both the Cedar Mountain and Morrison are famous for dinosaur fossils. However, in this region these outcrops also provide clues for finding oil and gas resources in Utah and understanding geologic features on Mars. This statement may sound unusual, but it is true. The now compacted and well-cemented sandstone and conglom­erate that filled the ancient river channels (“paleochannels”) are more resistant to erosion than the surrounding mudstone and shale of the ancient flood plain. 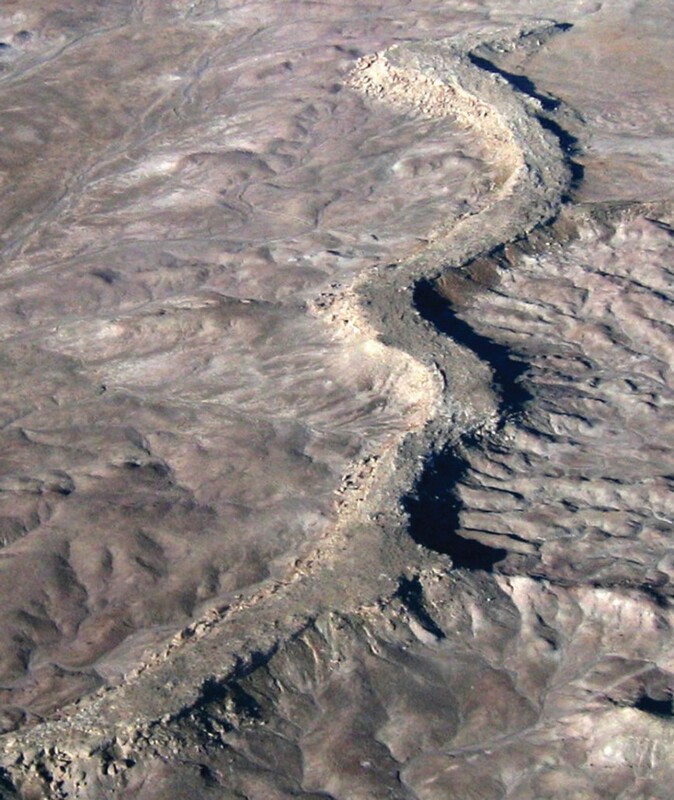 Consequently, erosion of the sur­rounding flood-plain deposits was more rapid than that of the river-channel deposits. The exhumed paleochannels are expressed today as the ridges and buttes topographically above the surround­ing landscape. 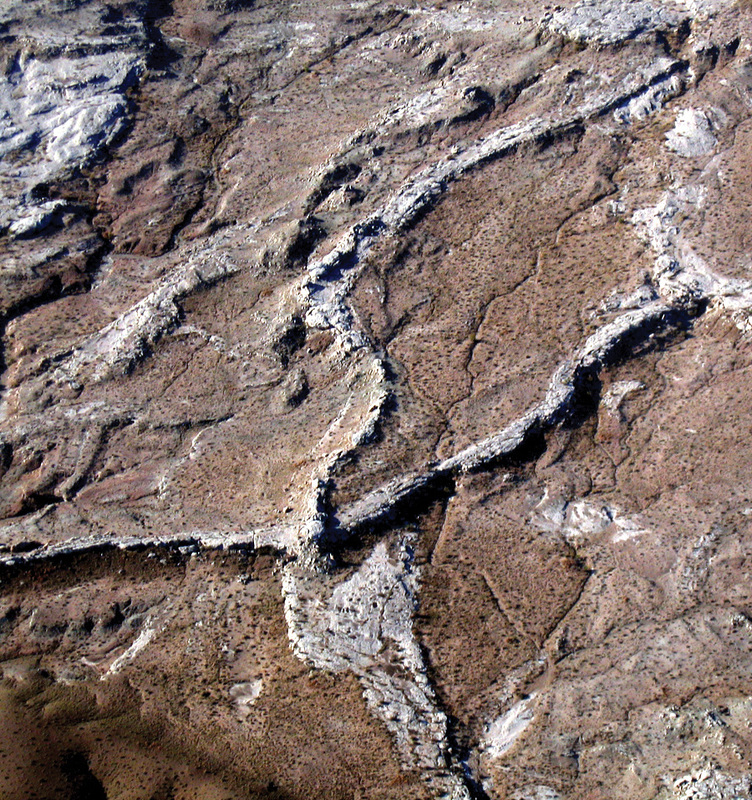 This type of geomorphic phenomenon is referred to as inverted topography—what was previously the lowest part of the ancient landscape is now the highest (for a discussion of inverted topography formed by lava flows in southwest Utah, see the “Geosights” article in the September 2002 issue of Survey Notes). Individual paleochannels can be traced for distances of over 5 miles, have widths between 30 and 100 feet, and relief as much as 130 feet above the surrounding terrain. Elsewhere, Morrison and Cedar Mountain channel deposits have produced nearly 3 million barrels of oil and 300 billion cubic feet of natural gas from fields in the southeast Uinta Basin of eastern Utah. In these fields the paleochannels are still encased by the surrounding mudstone and shale deep in the subsurface. The channel sandstones contain enough pore space (which is also interconnected) between the sand grains to store gas and oil (or water), and thus serve as hydrocarbon reservoirs. The shale and mudstone act to seal the paleochannels, forming a stratigraphic hydrocarbon trap (no folding or faulting of the rocks is involved in the trap). The exhumed Morrison and Cedar Mountain paleo­channels of the inverted topography region are exposed analogs of the buried reservoir rocks of these oil and gas fields. Petroleum geologists use the outcrops to better predict reservoir-sandstone channel depositional trends, distribution, channel length and width, sand thickness, reservoir quality (such as the amount of pore space), and other critical information in the search for new stratigraphic hydrocarbon traps. These studies also help reduce the chances of drilling “dry” holes when targeting ancient river channels as fields are developed, versus a sometimes “hit or miss” drilling approach. are interpreted as having formed during an earlier warmer and wetter climate. New high-resolution images from the Mars Orbiter Camera (MOC) aboard the Mars Global Surveyor (1997–2006) and the Thermal Emission Imaging System aboard the Mars Odyssey (2002–present) show well-defined preservation of raised, often branching, ridge landforms. These features are 600 feet to 45 miles in length, have widths between 30 feet and 2.5 miles, and relief as much as 170 feet above the surrounding terrain. 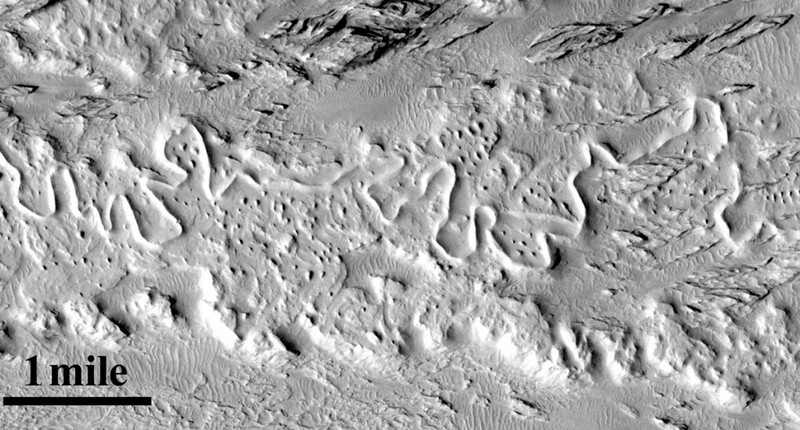 Like the Morrison and Cedar Mountain examples, these Martian features are also interpreted as paleochannels expressed as inverted topography resulting from deposition, burial, compaction and cementation, erosion, and exhumation. 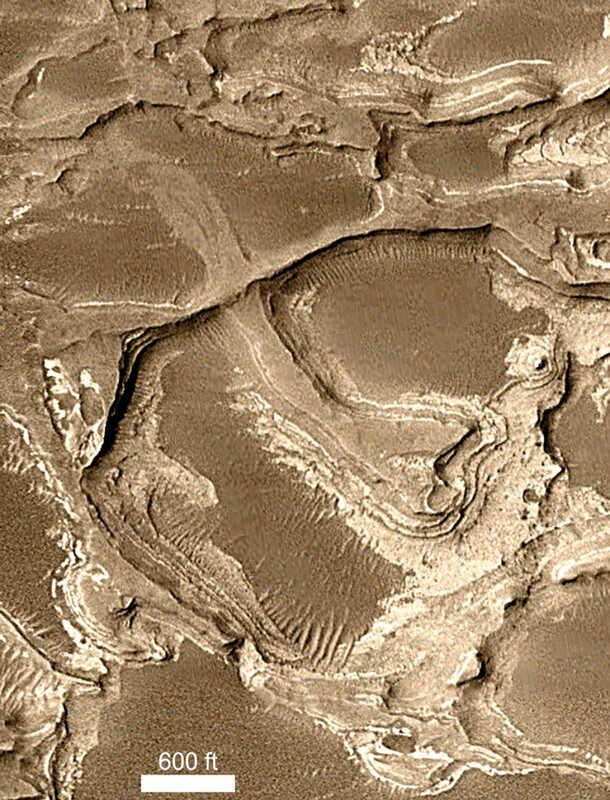 Unlike the Utah paleochannels, however, the Martian features likely were exhumed by wind erosion rather than flowing water. Study of Utah’s Morrison and Cedar Mountain inverted paleochannels is helping scien­tists understand the geologic history that led to development and preservation of the similar Martian paleochannels, as well as the environmental conditions of channel-forming events on Mars. 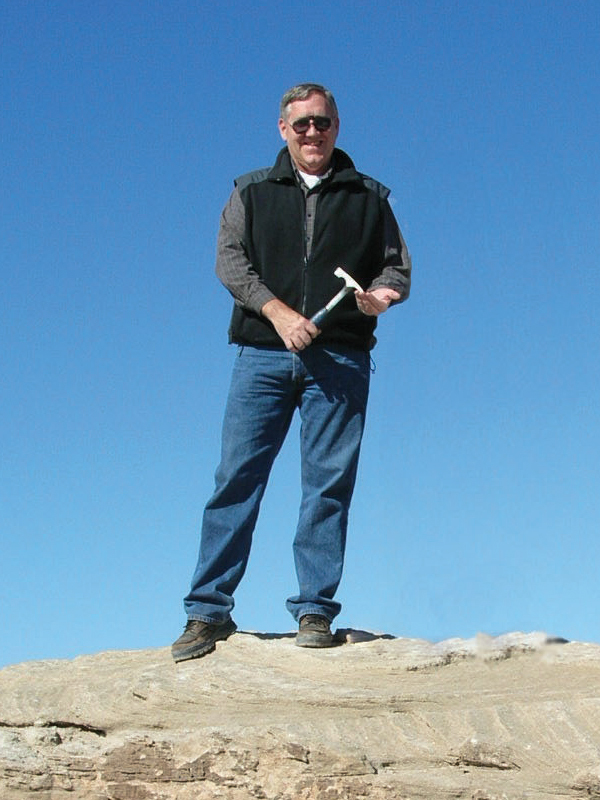 Dr. Brian Currie (University of Miami, Ohio) and his colleagues have evaluated the Cedar Mountain Formation both in the subsurface and in outcrops of eastern Utah under the Utah Geological Survey’s (UGS) Characterization of Utah Hydrocarbon Reservoirs and Potential New Reserves program. Their findings and conclusions were recently published in UGS Open-File Report 516 titled Reservoir Characterization of the Cretaceous Cedar Mountain and Dakota Formations, Southern Uinta Basin: Year-Two Report (2008). Ancient Exhumed River Channels of the Morrison and Cedar Mountain Formations—Analogs for Eastern Utah Oil and Gas Fields and Features on Mars Too! Glad You Asked: Glacial Striations and Slickensides – What are those groovy rocks and how did they get that way?